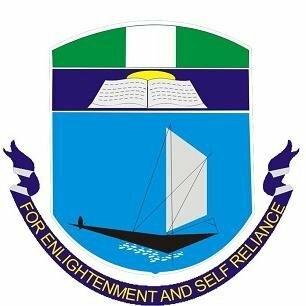 University of Port Harcourt (UNIPORT) UTME First [1st], Second [2nd], Third [3rd], Fourth [4th] and Fifth [5th] Batch and Omitted Candidates Admission List for 2018/2019 Academic Session Out. The management of the University of Port Harcourt (UNIPORT) has released the first, second, third fourth, fifth batch admission list that contains the names of candidates offered provisional admission into its various undergraduate programmes for the 2018/2019 academic session. UNIPORT Admission List (Omitted Candidates). Click on the link https://www.uniport.edu.ng/news/latestnews/1318-2018-2019-admission-list-omitted-candidates.html to access UNIPORT omitted candidates admission list. UNIPORT Admission List (Geology Candidates). Click on the link https://www.uniport.edu.ng/news/latestnews/1423-2018-2019-admission-list-geology-candidates.html to access UNIPORT geology candidates admission list. 2. Admitted candidates who have not accepted their admission on the JAMB website (CAPS) should do so latest by November, 2018 or the admission will be withdrawn. 3. Candidates not admitted yet who are yet to upload their O'level results to JAMB website (CAPS) should do so immediately as non upload of O'level Results to JAMB can affect their admission. Successfully admitted students should proceed with the payment of acceptance fee and registration immediately.